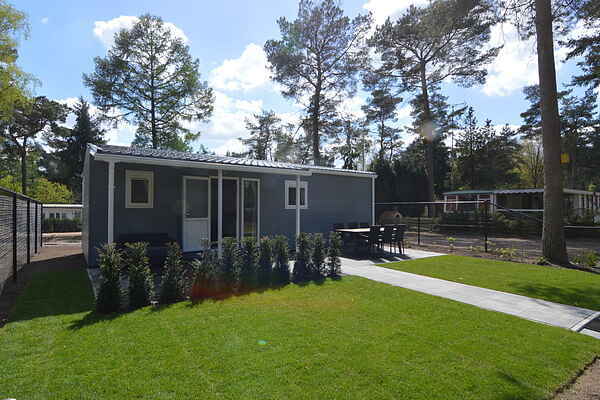 This chalet is located in a holiday park. The park has various facilities with all conveniences and services within reach. So you can enjoy your holiday without any worries. The park has a spacious swimming pool with separate section for children. A mini-golf course, playgrounds and various sports facilities are present on the park. You can also go to the supermarket for your daily needs and there is a snackbar. In the surrounding area are various cities worth visitng. Eindhoven is 15 km away, where you can go shopping for the day, go to museums or go to a pavement cafe. Tilburg is around 25 km away. In this city you really need to see 'T Taphuys. A meeting spot for everyone which features a unique row of self-service draught beers (tap wall) with 40 different types of beers and wines. For children, de Efteling amusement park is only 40 km away. The largest amusement park in Benelux with all kinds of fairy tales and a world full of wonders!